Branches Of Learning was thrilled to be one of the sponsors for the first ever Children’s Zone at the South Valley Community Fair on July 30, 2016. Branches Of Learning, serves community outreach programs and clubs through our non-profit sector BIG On Learning that supports community initiatives towards youth programs and services. BIG on Learning is a Non-Profit Friendly Society that supports students, teachers and parents with educational resources, tools for training and innovative education initiatives in Anguilla. What better way to support this new youth inspired initiative, than to partner with the South Valley Community Club and other local businesses to create the Children’s ZONE! The South Valley Community Fair was established to bring people to the South Valley community in order showcase traditional foods, talent, local art, creating merriment during the Summer Festival season. This year the club wanted to reach all age groups and thus, the Children’s ZONE was incorporated to support the festivities through activities for children during the South Valley Street Fair. The Children’s ZONE allowed parents to sign in and drop off children for a day of South Valley Street Fair FUN, while they enjoyed all the elements of the festival! Children enjoyed bouncy castles, games, prizes and much more. The Children’s Zone was equipped with its own food station; so there was no need to leave. Hotdogs, cotton candy, and drinks galore! 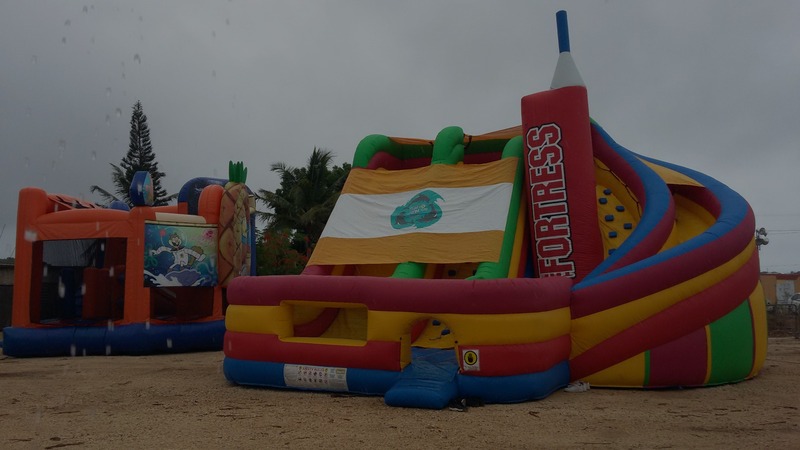 The Children’s ZONE was not only for children but the child at heart too, we had The Fortress, the largest bouncy castle on island, which catered to adults too. This Children’s ZONE would not have been possible without some amazing volunteers, that came and supported when needed throughout the day. A special thank you to the Optimist Club of Anguilla and Junior Optimist Octagon International (JOOI) members, South Valley Community Members for their support in actively monitoring children while on the bouncy castles and throughout activities in the Children’s ZONE. Branches Of Learning looks forward to partnering with the South Valley Community Club for an even bigger and better Children’s ZONE next year. Branches Of Learning is not only BIG On Learning but we are BIG ON FUN! Kemarley Of Anguilla visits the Lucky Dip! The Actress Annie Potts has written and illustrated a beautiful children’s book about a special boy called Kemarley Brooks who lives in Anguilla. The book features colourful pictures of Kemarley – wearing blue swimming goggles – enjoying his life in Anguilla; relaxing in a hammock, sitting under a flamboyant tree, watching boat races and singing to the dolphins. The heartwarming book’s storyline sends a strong message of love and hope. 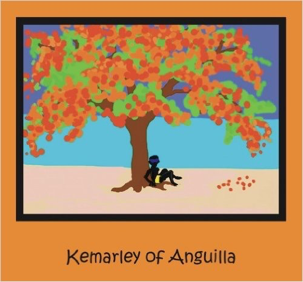 Kemarley is a ‘special’ child and all proceeds from sales of the book will go to benefit special needs children in Anguilla – via the Arijah Children’s Foundation.